When it’s time to blend styles in a home or room—perhaps because you’re combining two households, for example—it can be overwhelming. Don’t worry, at Windows & More serving the Lake Ozark area, we have decorating tips to help you achieve the perfect eclectic look. One way to create a bridge between two styles is to use color. A coat of paint—with one color or in a color combo—can easily help bring pieces together. You can also use window treatments to tie everything together. Duette® Honeycomb Shades from Hunter Douglas are available in 39 different fabrics with a total of 424 colorways. Not only can you match or coordinate colors, this premium honeycomb collection has a wide selection of opacities and textures to choose from, which is perfect when combining design styles. To combine furniture and accessories, use the 80/20 rule—which calls for the main style to maintain 80% of the home décor and the second style to have 20%. So for example, your large pieces of furniture that are either hard to give up or hard to replace would be part of the 80%. The 20% is the new design style you want to introduce, including that pop of color, texture, pattern, and more. Keep in mind, if you group too many things together from one style, it will draw too much attention—it throws everything off balance. Instead, split up your items and distribute them evenly throughout the space. If you want to prevent a traditional room from looking too stuffy and old-fashioned, mix things up with something modern. 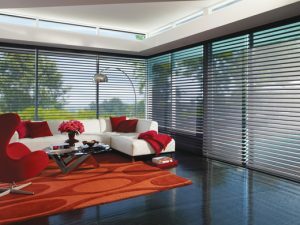 Pirouette® Window Shadings by Hunter Douglas are perfect in bridging the gap between traditional and modern styles. When fully lowered, the vanes flatten for a smooth, more modern look. Slightly raise the vanes for a more traditional, contoured look, or fully open the vanes to provide a clear view to the outside. 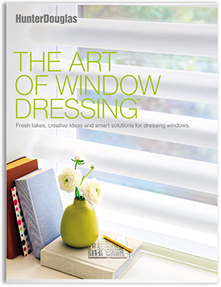 We can help you find the right decorating style using Hunter Douglas Window Treatments & draperies. Visit our showroom or call for a free in-home consultation today! Serving Osage Beach MO area.